Oxnard, Calif.—Despite being born with arms that end at his elbows and legs near the knees, Kyle Maynard is teaching people around the world that there are no worthy excuses, no matter how challenging your difficulties may seem. As the first man to crawl on his own to the summit of Mt. Kilimanjaro, the highest mountain in Africa, Maynard will tell his inspirational message as the keynote speaker for Boys & Girls Clubs of Greater Oxnard and Port Hueneme’s 12th Annual Great Futures for Kids Breakfast. The breakfast, a fundraiser to support the Club, will be held 7-9 a.m., March 13 at the Residence Inn by Marriott at River Ridge, 2101 W. Vineyard Ave., Oxnard. The breakfast event is a community rally to help create Great Futures for Kids by supporting Club programs that ensure children graduate from high school and achieve self-sufficiency, along with possessing a strong character and leadership skills. Families pay $20 per year to become members of the Club; the Club pays the remaining $500 per year in program fees for each child. It’s money well spent, as members of BGCOP have higher graduation rates and lower teen pregnancy and crime rates than area youth, resulting in a 1,200 percent return on donor investments. 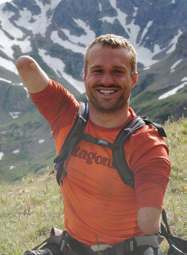 A motivational speaker, author, entrepreneur and athlete, Maynard was born with a disability known as congenital amputation. Despite this challenge, he has wrestled for one of the best teams in the Southeast, set records in weightlifting, fought in mixed martial arts, among many other things. The Boys & Girls Clubs of Greater Oxnard and Port Hueneme exists to inspire and enable all young people to realize their full potential as productive, responsible and caring citizens. With three full-service clubs, 18 school program sites and one housing site, the organization is one of the largest of its kind in California, serving more than 9,000 members annually. The group is also the first Boys & Girls Club of its kind to open a site inside a Juvenile Justice Center in the state of California. Program areas offered to youth include character and leadership development, education and career development, health and life skills, the arts, technology and sports, fitness and recreation. For more information, visit www.positiveplace4kids.org. 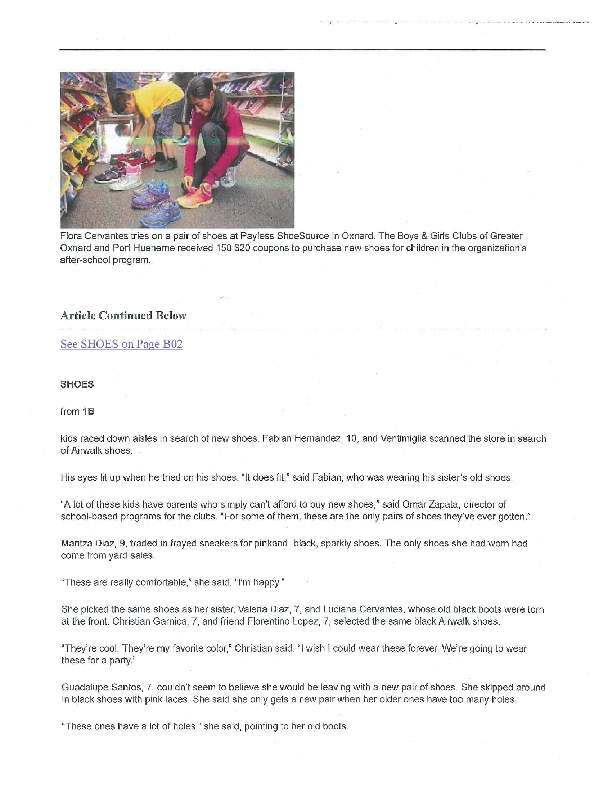 Oxnard, Calif. — The Boys & Girls Clubs of Greater Oxnard and Port Hueneme announces the addition of Marvelle Berry, human resources manager at the Oxnard Procter & Gamble site, and Rigoberto Vargas, public health director at Ventura County Health Care Agency, to its board of directors. “Rigoberto and Marvelle are committed to helping advance our entire community by helping children, and we are honored to have them join our board of directors. Both are influential leaders in the Oxnard community and will have a positive impact on our 9,000+ members through their dedication.” said Tim Blaylock, BGCOP Chief Professional Officer. Vargas serves as public health director of Ventura County Health Care Agency, an organization that works with the community to promote health and emergency preparedness, and prevent disease, injury, and disability. Prior to his promotion to director, Vargas served 15 years with VCHCA. At age seven, Vargas emigrated from Mexico to the U.S. He grew up in Santa Paula and now resides in Oxnard. He is also involved with American Cancer Society and the Community Commission for Ventura County. Berry serves as human resources manager at Procter & Gamble’s Oxnard plant. 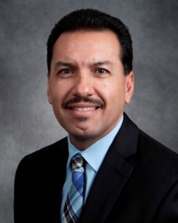 He is also the current vice chair of the Oxnard Chamber of Commerce board of directors. Prior to moving to P&G’s Oxnard plant in 2011, Berry spent more than 15 years in various positions at the company’s Green Bay, Wisconsin plant. For more information about the Boys & Girls Clubs of Greater Oxnard and Port Hueneme contact Tim Blaylock at 805-815-4959, extension 203.